Our Lady, Star of the Sea was the first Roman Catholic Church established on the Island. It is situated on the corner of Breadalbane Street and Victoria Street and is accessed via a gate in the latter. There have always been a small number of Catholics in Tobermory, e.g., there were 12 in 1843 (see Statistical Account). However, until recently there had been no permanent place of worship since the Reformation. Mass was said in various halls and people’s homes. 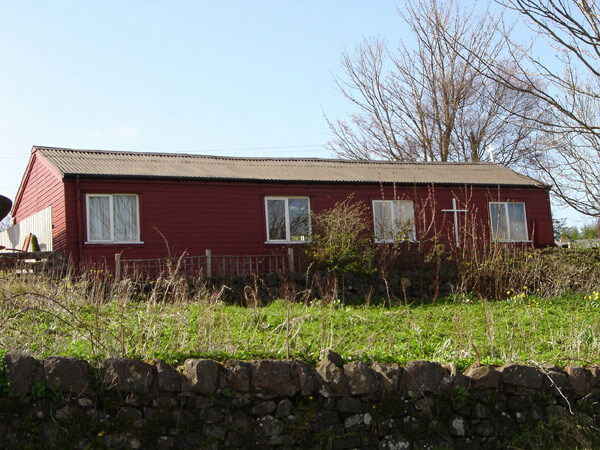 The present chapel was dedicated in 1973, after a chapel fund was launched in 1960, and a piece of ground and a small chalet were gifted by Mrs Betsy MacAllisterin in 1970. Bishop Colin MacPherson conducted the Blessing and Dedication of the church on 1st July 1973. In 1997 Cnoc a’ Chalmain’, the ‘Hill of the Dove’, the Roman Catholic House of Prayer on Iona was opened.